The India FinTech Forum aims to position the fintech community in India as a global leader in innovation and entrepreneurship. Rana Kapoor received an Honorary Fellowship from All India Management Association (AIMA), Doctorate in Science (Honoris Causa) from G.B. Pant University of Agriculture & Technology, India’s foremost and oldest Agri University, for his contribution to the Food & Agribusiness sector in INDIA. He holds an MBA degree from Rutgers’ University in New Jersey, U.S.A. (1980), and a Bachelor’s degree in Economics (Honours) from the University of Delhi (1977). He has also received the prestigious President’s Medal from Rutgers University. In a span of 12 years, YES BANK has received significant national and global recognitions and accolades including the prestigious Bank of the Year, India Award 2015 from The Banker magazine, UK, IMC RBNQA Business Excellence Award, 2013, Best Midsized Bank for 2015, 2013, 2012, 2010, 2009 & 2008 in the Business Today-KPMG Best Banks Annual Survey. YES BANK was awarded the Best Bank (Mid-Size) by Businessworld and adjudged Best Managed Bank in India by the Asian Banker (2011-2013), Jakarta, 2013. YES BANK received the Rank 1 Sustainable Bank of the Year (Asia/Pacific) award at the FT/IFC Sustainable Finance Awards 2012 and 2011, London and was included as a Foundation Member of the World Economic Forum (WEF), Geneva. Rana Kapoor, was recently felicitated by the Hon’ble Governor of Maharashtra, Shri CH Vidyasagar Rao and the Hon’ble Chief Minister of Maharashtra, Shri Devendra Fadnavis, for his ‘commitment to the development of the State of Maharashtra’. Rana Kapoor was felicitated as CEO of the Year at SABRE Asia Pacific Awards 2016 in Hong Kong by The Holmes Group. Mr. Kapoor was also recognized by the Lokmat Group for this Exemplary Contribution to Infrastructure Banking. Mr. Kapoor was adjudged ‘The Leading Banker of the Decade’ by The Indian Chamber of Commerce (ICC). He has been felicitated for his ‘Outstanding Contribution to Innovation in Financial Services Industry’ by IIM Ahmedabad and for his contribution to the Banking and Financial Services Industry by IIM Indore. In July 2016, he was honoured as ‘The Leading Banker of the Decade’ by The Indian Chamber of Commerce (ICC). 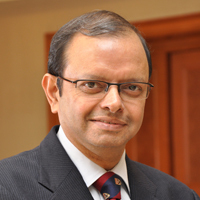 In May 2016, he was recognized by the London Business School India Business Forum for Exemplary Contribution to Innovation and Entrepreneurship, He was also felicitated by the Indian Institute of Technology, Mumbai for his exemplary contribution to fostering Entrepreneurship in India and by the Indian Institute of Management Kozhikode for his Exemplary Contribution to Financial Services. He was also felicitated by The Institute of Rural Management Anand (IRMA) for his “Exemplary Contribution to Agribusiness in Emerging Economies”. He was also honored for ‘Contribution towards promoting India-Canada bilateral relations’ by The High Commission of Canada & The Indo-Canadian Business Chamber (ICBC). Mr. Kapoor received the ‘Best Business Innovator’ award at the Asia Business Leadership Forum. He was recognized as ‘Visionary Business and Banking Leader’ by NAREDCO, MCHI- CREDAI and FHRAI for his extraordinary contributions to Housing & Construction, Urban Infrastructure, Tourism and Hospitality sectors among others in 2014. He had earlier received The Asian Banker CEO Leadership Achievement Award for India, 2013. He has also received the 2013 Godfrey Phillips ‘National Special Social Award’ for actively driving the vision of Responsible Banking. He was acknowledged and received the Entrepreneur of the Year award at the Asia Pacific Entrepreneurship Awards 2011.Mr. Kapoor received the Indian Business Leader of the Year award at the FICCI-Horasis Global Indian Business Meeting 2010 in Spain, and was awarded the Start-up Entrepreneur of the Year 2005 at the Ernst & Young Entrepreneur of the Year Awards. 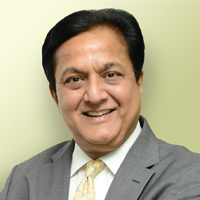 Prior to establishing YES BANK, Rana Kapoor was CEO & Managing Director, and main Managing Partner of Rabo India Finance (RIF) Pvt. Ltd. (a corporate finance and investment banking organisation).He successfully spearheaded RIF as a foreign joint venture financial services organization in partnership with Rabobank (AAA rated) in India and assiduously built RIF as a Professional Entrepreneur from 1998-2003. Thereafter he sold his shareholdings to Rabobank, Netherlands, in early 2003. 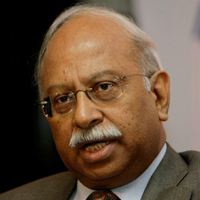 Saurabh Srivastava is one of India’s leading entrepreneurs, investors and institution builders, widely acknowledged as one of the architects of the Indian IT Industry and as leading the creation of a vibrant entrepreneurial eco system in India. 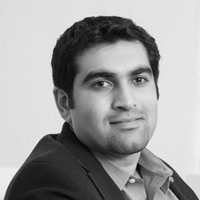 He has worked extensively in the US, UK, Singapore and India. The Indian Prime Minister Shri Narendra Modi has presented him an Award for contribution to the Indian IT Industry and the the President of India has awarded him the Padma Shri. He co-founded and Chaired key institutions of modern India focussed on entrepreneurship: NASSCOM (Indian IT Industry Association); Indian Venture Capital Association; TiE (the world’s largest organization focussed on entrepreneurship with 15,000 members across 14 countries); Indian Angel Network ,now the world’s largest investor group with 100 portfolio companies, 450 investor members globally and 7 chapters). After a successful stint in the US and India with IBM and Unisys, he turned to entrepreneurship and founded several successful IT companies, one ranked amongst the top 20 Indian software companies. He created India’s first and highly successful private sector VC Fund, which created several marquee companies. He has been involved in investing in around 100 start-ups and has personally mentored hundreds of entrepreneurs. 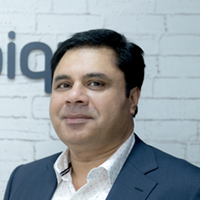 He sits on the boards of public companies such as YES Bank (India’s leading private sector bank), Infoedge (India’s largest consumer internet company), Lal Pathlabs (India’s largest chain of medical diagnostics labs), and has served on boards of public and private companies in the US, UK and Singapore. His public service commitments include the Empowered Committee for PM Awards on Excellence in Public Administration, The National Innovation Council, SEBI Committee on Alternative Investment Funds, Software Technology Parks of India , Investment Committee of the Indian Government’s Fund of Funds, Bombay Stock Exchange Hi-Tech Advisory Panel, Telecom Centre of Excellence, Railway Expert Committee and the National Expert Advisory Committee on Innovation, Incubation and Technology Entrepreneurship. He is a co-founder of Ashoka University, served on the Advisory Board of Imperial College Business School, London and was adjunct Professor of Entrepreneurship at IIT Mumbai. He has a Masters from Harvard University, a B-Tech from IIT Kanpur. Other Awards include “Distinguished Alumnus Award” from IIT, the Data Quest Lifetime Achievement Award, an Honorary Doctorate in Technology from the University of Wolverhampton, UK. 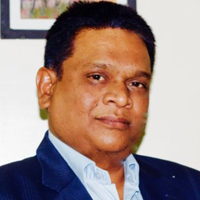 Ganesh has two significant corporate success stories to his credit – APTECH a global training major which he led for ten years and Zensar Technologies, a global software success story which he led as its Vice Chairman & CEO till early 2016. He has received the Distinguished Alumnus Award of IIT Bombay and the National Institute of Industrial Engineering, Mumbai. 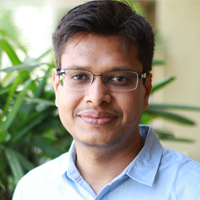 Ganesh’s industry responsibilities include Chairman of NASSCOM Foundation, Pune City Connect and Social Venture Partners Pune. He led the HBS Club of India for four years and is a member of the National Council of the CII. 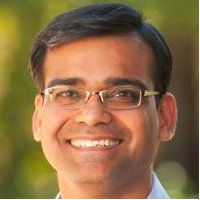 Ganesh is a Global Board Director of Social Venture Partners International. He has more than 12 years of work experience in banking and financial services industry and considered an expert in payments industry. Prior to Citrus, he was working with ICICI bank for 7 years. During his tenure at Citrus, he grew the company to a 300 member+ strong team and company was counted among Top 3 payment companies in India with in a span of 4 years. Citrus counted its investors base from Sequoia Capital and E-context Japan to Ascent Capital in Series C round. He also led Citrus to the largest all-cash deal in the fintech space in India, with the acquisition of Citrus by Naspers Group in September 2016. 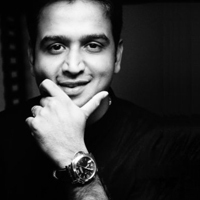 He graduated from Sydenham College, Mumbai and is a qualified Chartered Accountant. The India FinTech Forum is a non-profit initiative that offers a platform for fintech companies to collaborate and voice their opinions on the relevant policy issues. More than 250 fintech companies, who are members of this forum, are dedicated to enhancing the ecosystem to ensure that India leads the global fintech innovation wave. Indian fintech firms have unique opportunities with the India Stack (Aadhar, UPI, etc. ), which are not available anywhere else in the world. Today, India is on the cusp of a profound shift in the way financial services are accessed by millions of citizens. And this shift will be primarily led by innovative fintech startups in collaboration with big banks or large corporations. Government policies and regulations by important institutions like RBI, SEBI, IRDA etc. will play a major role in shaping the fintech sector. Several industry associations are present in India like CII, FICCI, ASSOCHAM, SIAM (for automobile manufacturers), COAI (for cellular operators), etc. to voice the opinion of their member companies. Similarly, the India FinTech Forum serves as the unifying platform where the Indian fintech community can present its thoughts and views (in consensus) to the government or policy regulators on important issues relating to the sector. India FinTech Forum is a member of Global FinTech Hubs Federation (GFHF) and represents the Indian fintech sector. Any fintech firm can join the forum as a Corporate Member. Currently, there isn’t a membership fee. However, you may volunteer your support with monetary contributions occasionally, while organising meet-ups or conferences. Also you may need to contribute some time in attending meetings with regulators for certain representations. Please click here to initiate your forum membership. If you’re passionate about the fintech space (especially in India) and would like to volunteer as an individual (not a firm), then we do have a few spots. Please click here and fill the form. We’ll let you know of any suitable opportunities within the team. The India FinTech Forum organises meet-ups in several locations and seeks to drive policies that accelerate the growth of fintech in India. We also organise the India FinTech Awards, which recognises the best and most innovative fintech firms operating in India.